Forgot to buy a present or flowers? No problem! Surprise your significant other, friend, family with home fries with bacon & onion with a poached egg on a butter croissant topped with creamy spinach sauce. This is the perfect breakfast/brunch to surprise your significant other with on Valentines Day. It’s more than delicious and looks like it’s straight from a 5 star restaurant. I was fortunate enough to have my boyfriend make this for me a couple of days ago. 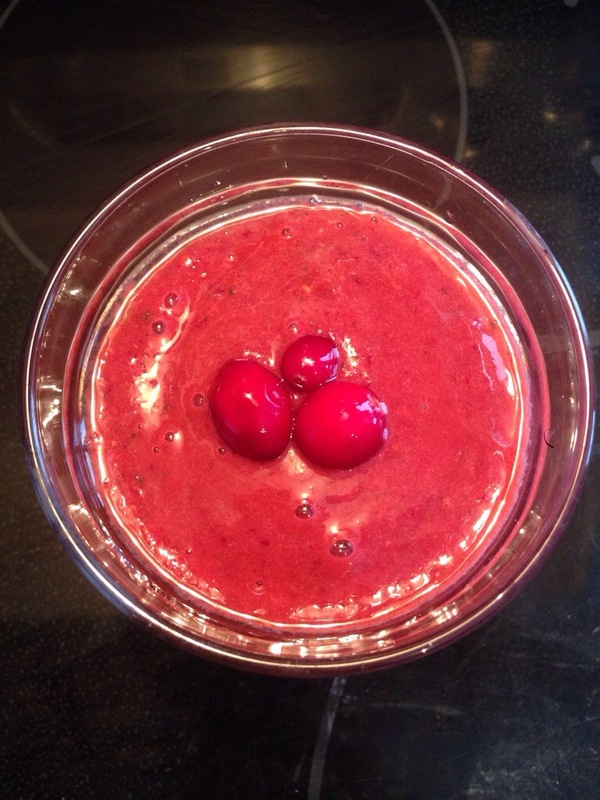 Although a lot went into making it, the whole recipe was pretty simple. 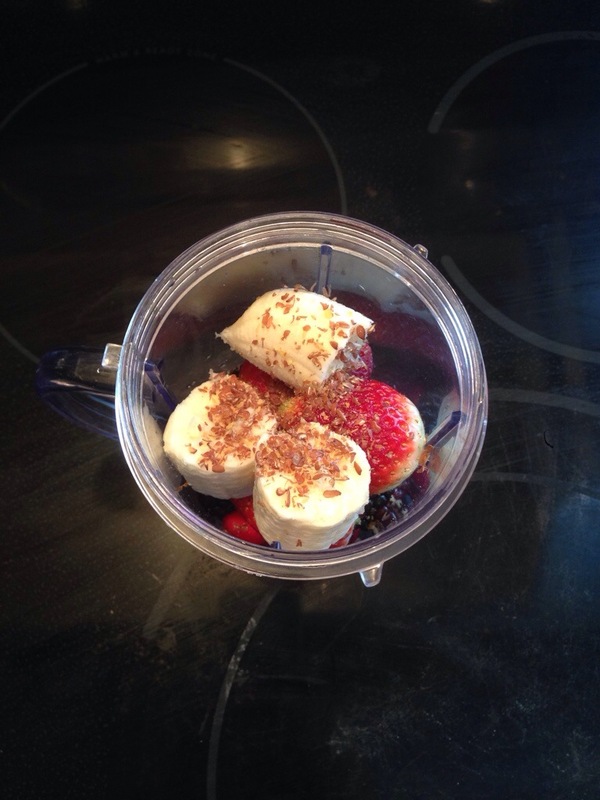 The key to make this breakfast perfect is TIMING! Make sure to follow my instructions exactly to ensure the perfect breakfast! 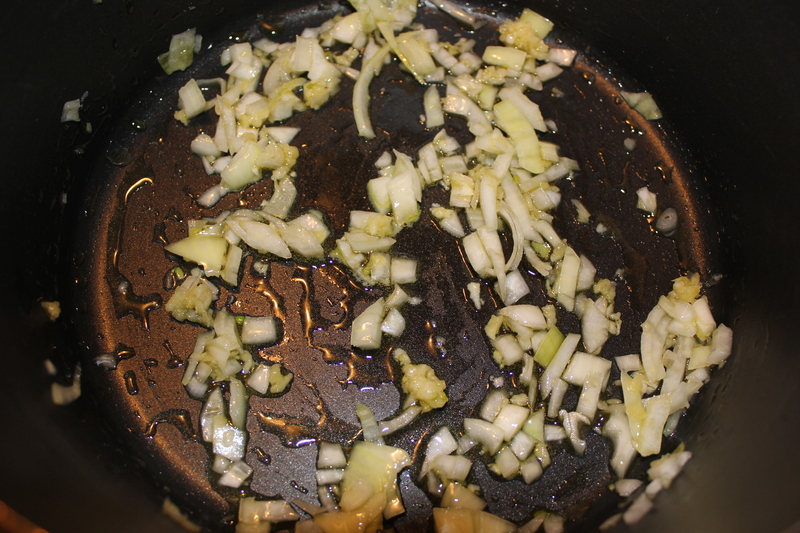 First, in a large frying pan on medium heat, combine your garlic and bacon. Once the bacon is slightly cooked (pink), add your sliced potatoes. When the potatoes begin to brown, add most of the onions (leave some for the spinach sauce). Make sure to constantly monitor the frying pan to make sure nothing burns! 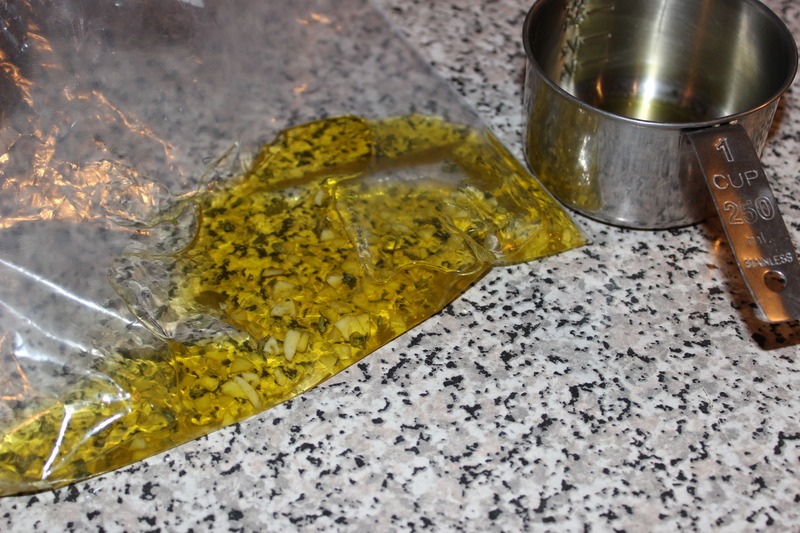 Next, in a small pot on medium heat, add about 1 tsp of butter, garlic and (he chose to do this, you don’t have to!) 1 tbsp garlic aioli. Once this has slightly melted, add your spinach. 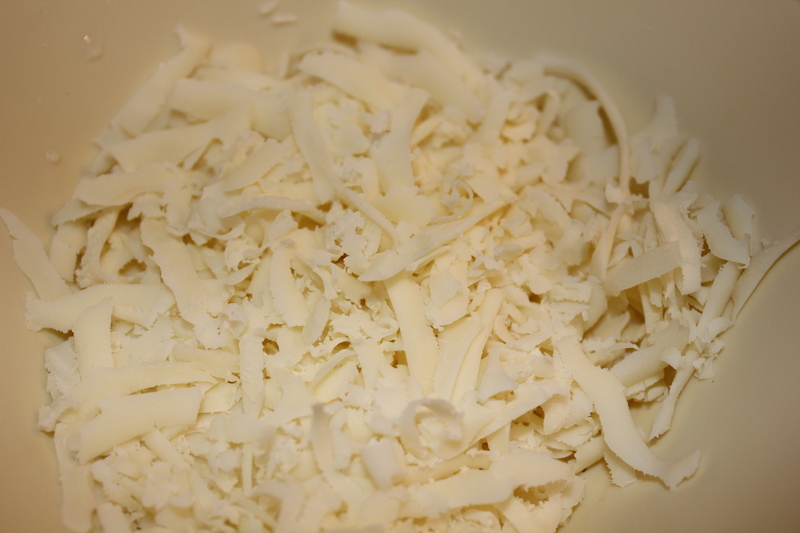 Wait until it is slightly wilted (but still bright green) and then add your cream. 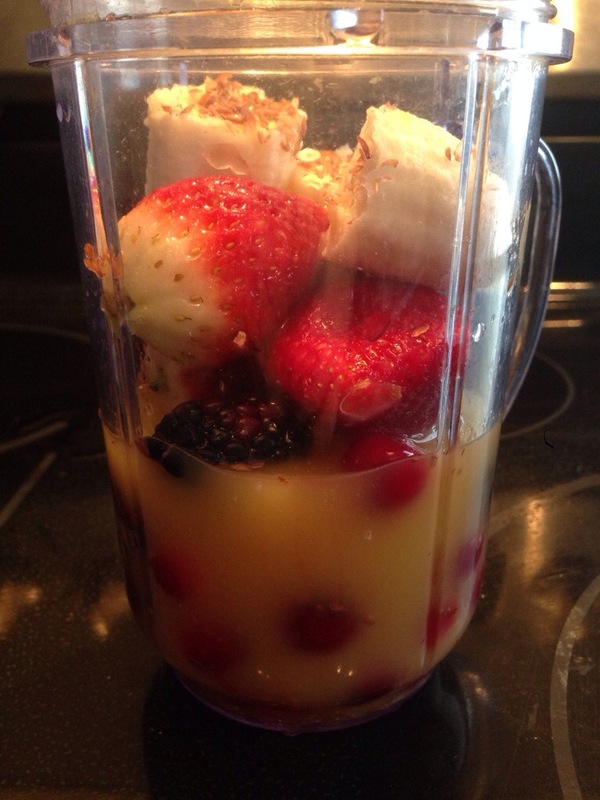 Stir for about 1 minute, and then transfer to your Magic Bullet (or any other blender/mixer). 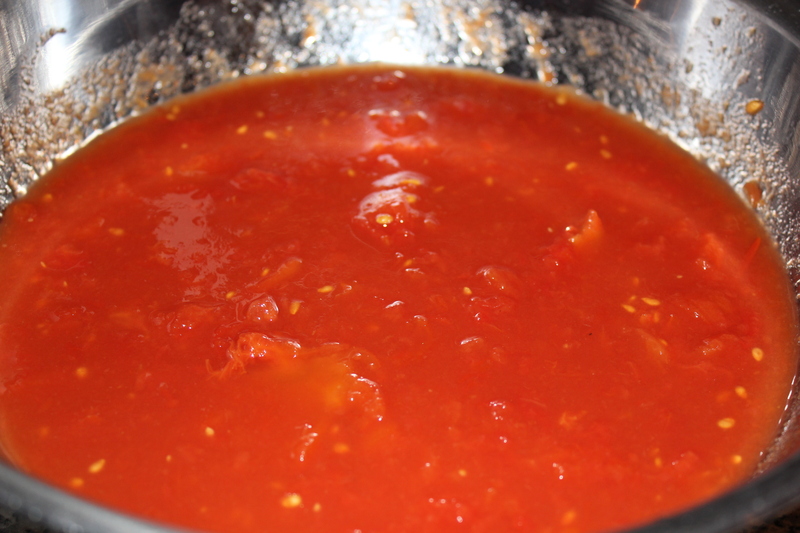 Mix for 30 seconds, then transfer back to the small pot on low heat. Add salt & pepper to taste. 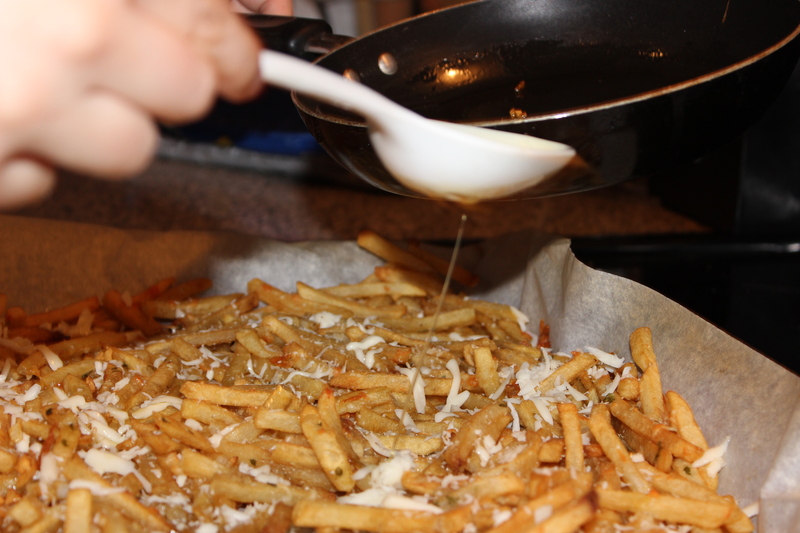 Your fries should be done, so change the temperature to low. Next, add about 6 cups of water to a medium pot and set the heat to high. It is crucial that you don’t allow the water to boil, so wait until the bubbles start to form on the bottom then turn heat lower. 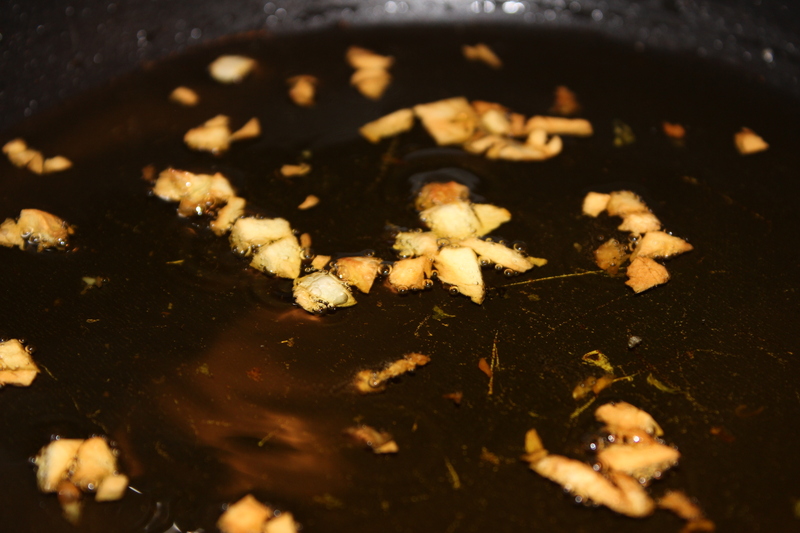 Add your vinegar. Crack both eggs into 2 separate bowls, then gently add to the hot water. Make sure to constantly keep moving the egg around with a spoon, so none of the eft white escape! Cook between 3-4 minutes (depending on how runny you like your yolk). While your eggs arecooking, start plating! Cut your croissant in half (lengthwise) and place on plate. 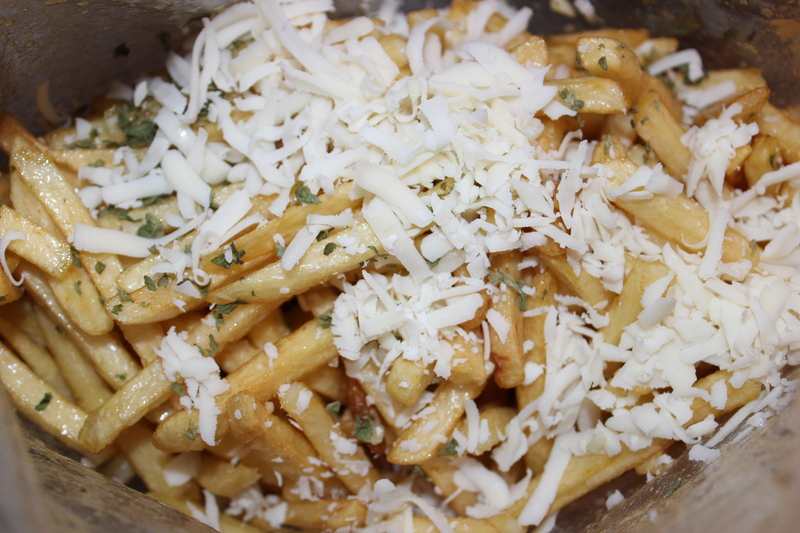 Add your fries. When your egg is done, place on croissant then add a hefty load of sauce – the more the merrier! And there you go, the perfect Valentines Day (or any other day) breakfast! 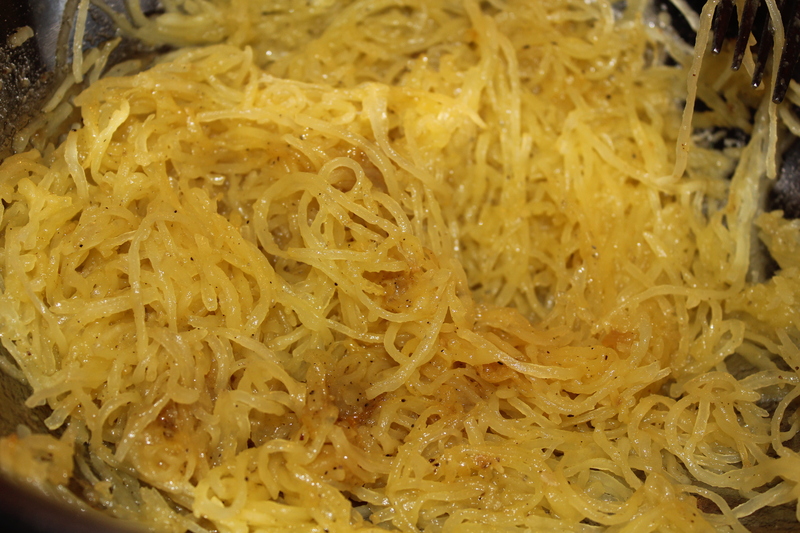 I was only introduced to spaghetti squash about a year ago. Being someone that doesn’t each a lot of squash, I didn’t know exactly what to expect. 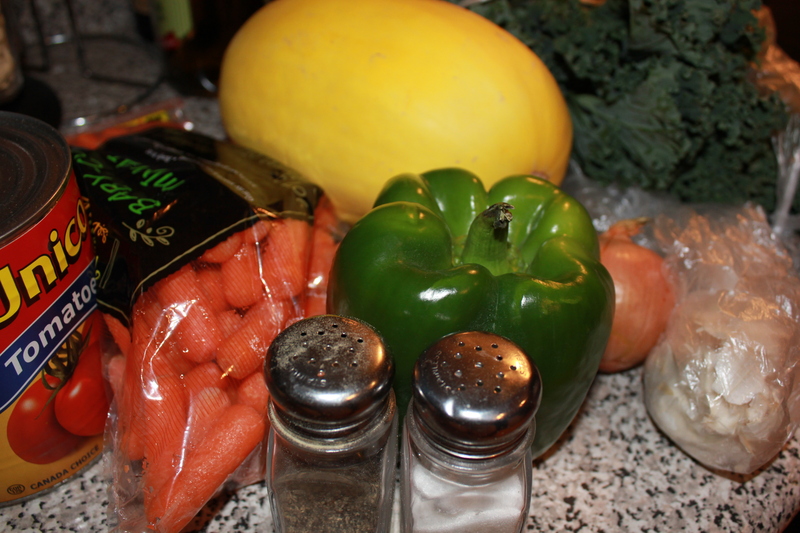 I was working as a family nanny at the time and was asked to prepare a very basic recipe, with few ingredients. I loved how easy it was to prepare and was instantly hooked. 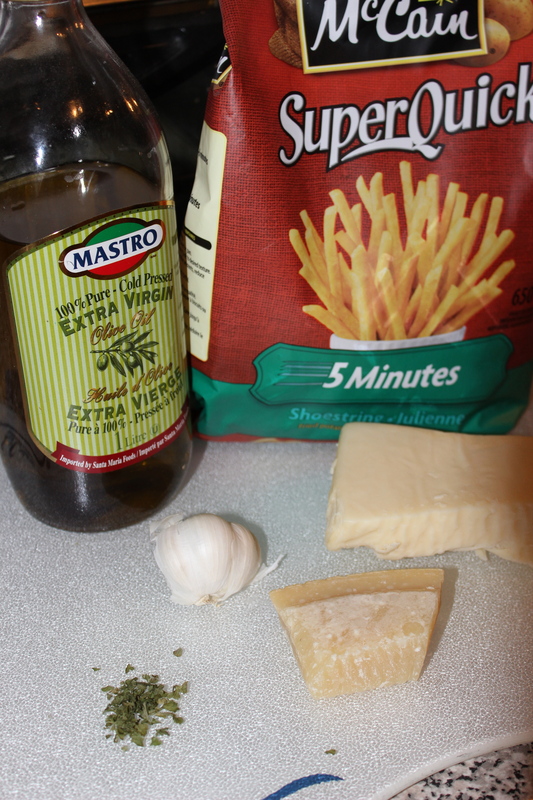 It is a great low carb, low calorie substitute for traditional pasta, and in my opinion, tastes just as great! 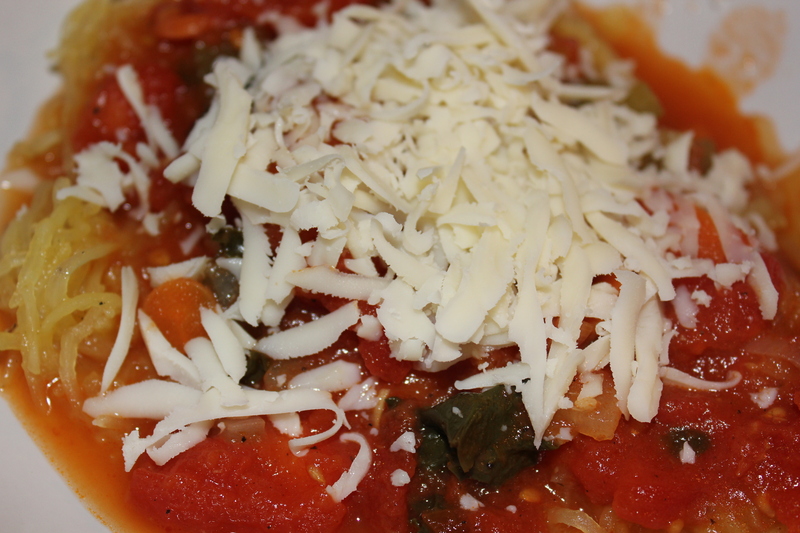 Below is my recipe for Garlic Spaghetti Squash with Kale & Veggie Tomato sauce. Preheat oven to 375 degrees (bake). 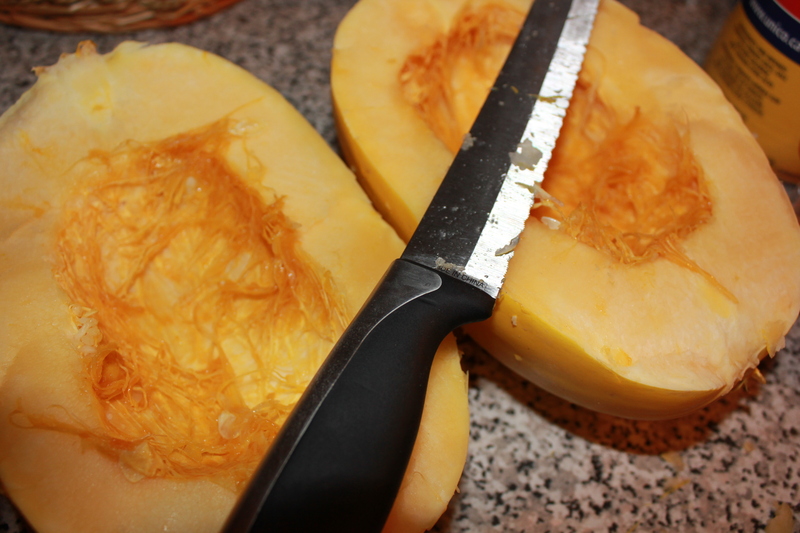 Cut your spaghetti squash in half (lengthwise) and remove all of the seeds. 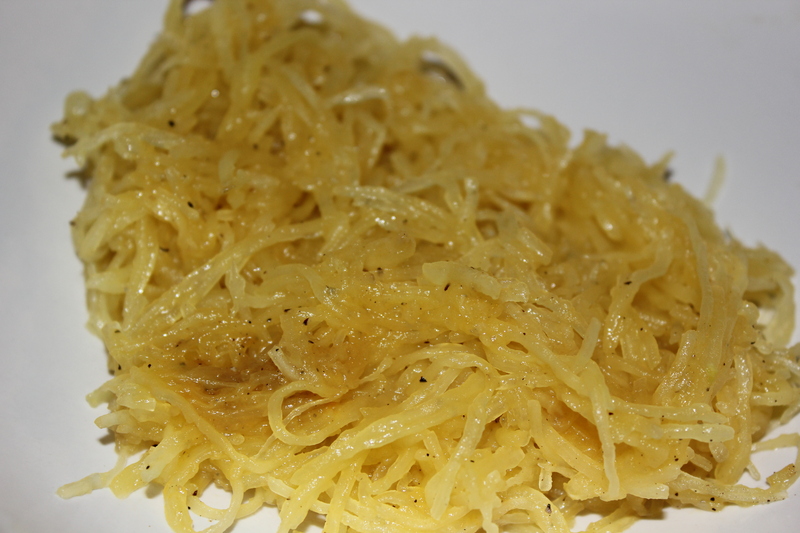 Drizzle both sides of your spaghetti squash with olive oil. 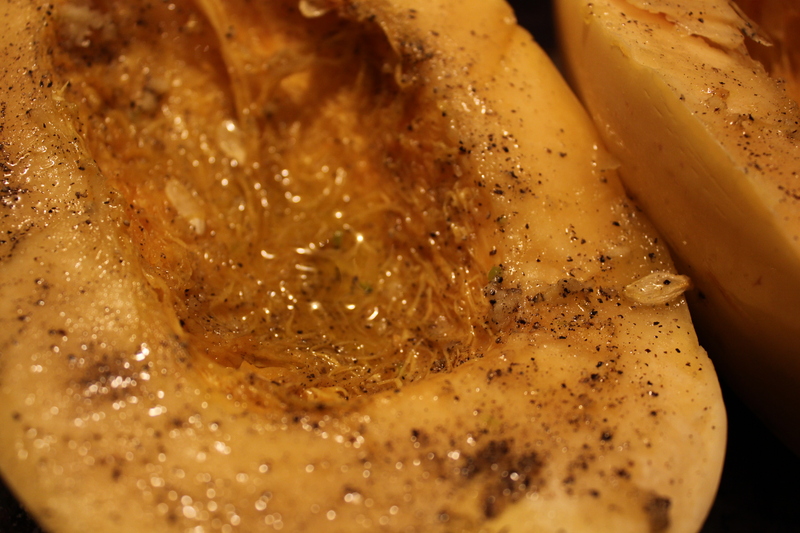 Crush one clove of garlic onto each half of squash. 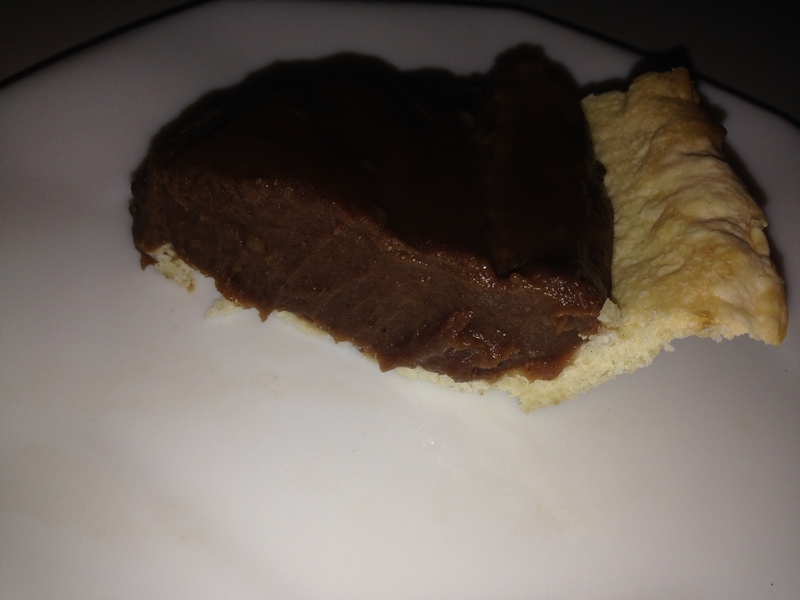 Spread evenly with a fork. Season with salt and pepper. 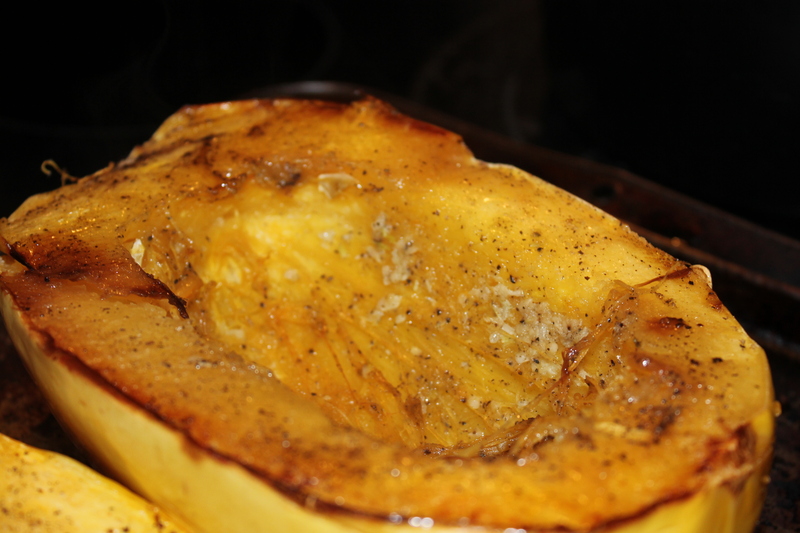 Place the spaghetti squash (seasoned side down) on a baking sheet, and bake at 375 for 35-45 minutes. 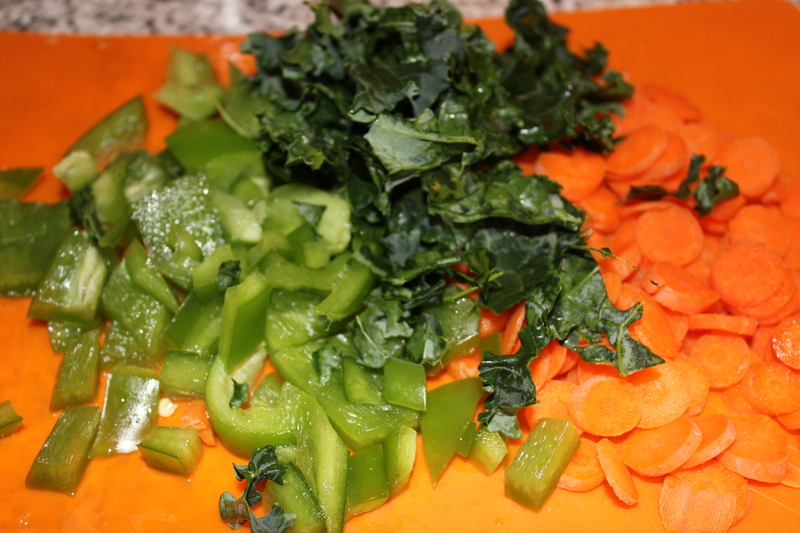 Chop the kale, peppers, onion, and carrots and set aside. 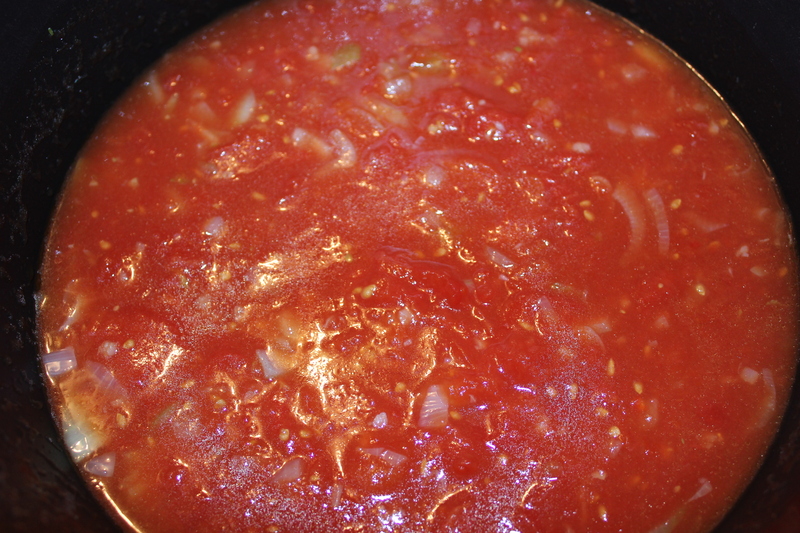 Empty the can of tomatoes into a large bowl (including juices) and crush the tomatoes with your hands. 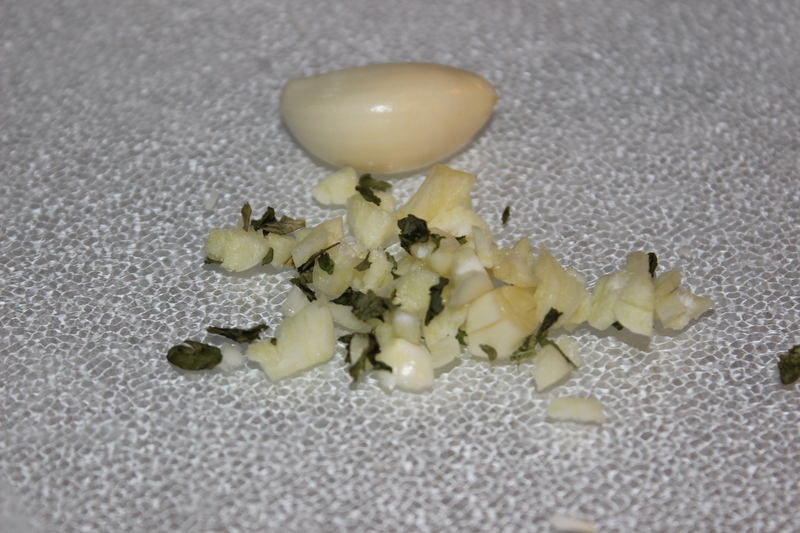 In a large saucepan, saute onion and 1 clove of garlic. 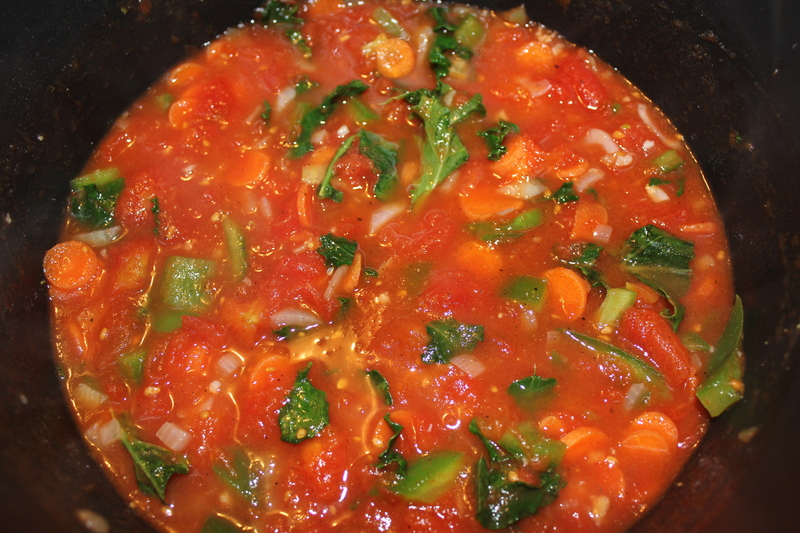 Once aromatic and clear, add the crushed tomatoes (and juices) and let cook for 5 minutes on medium-high heat. 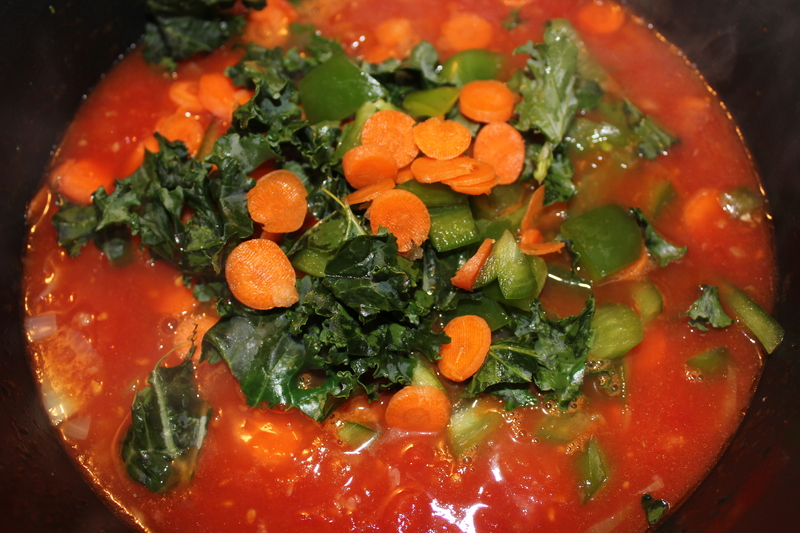 Add the kale, carrots, and peppers to the sauce. Let it simmer for 20-30 mins ( until spaghetti squash is done). 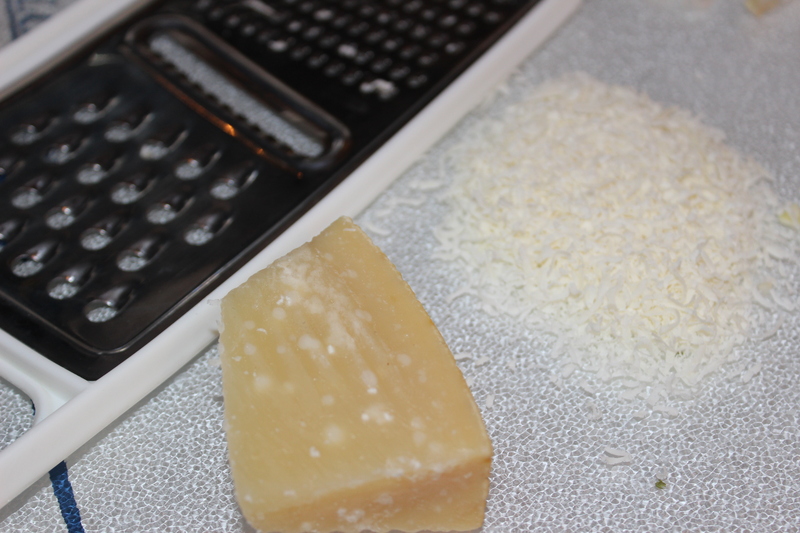 Grate some fresh parmesan or mozzarella and set aside-to top your spaghetti squash ( this is optional). 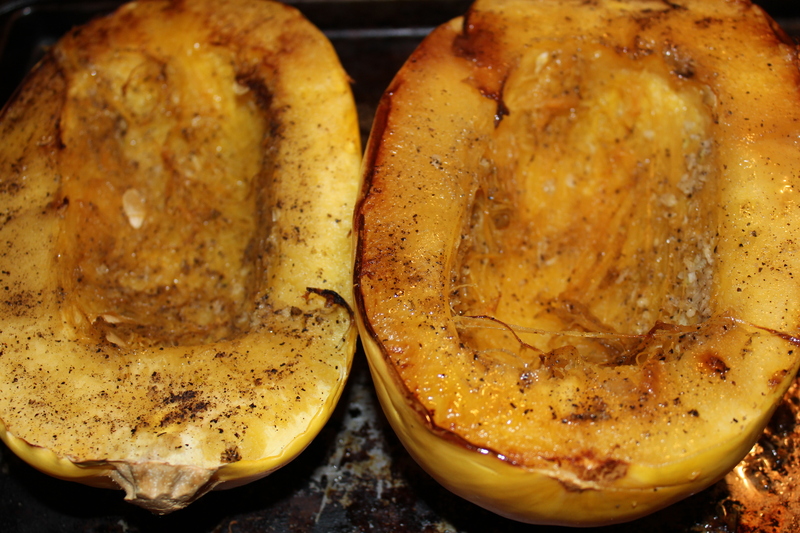 After 35-45 minutes, remove spaghetti squash from oven. 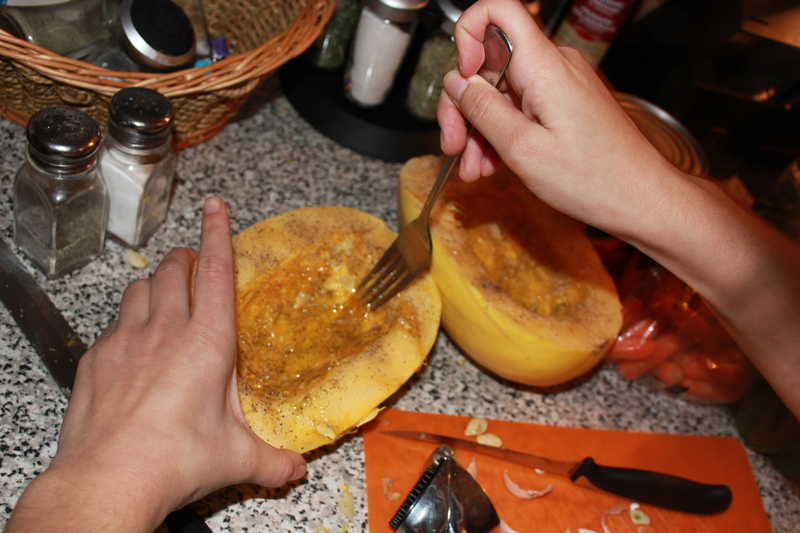 Scrape out the inside contents of the squash with a fork, here is where it takes the shape of spaghetti. 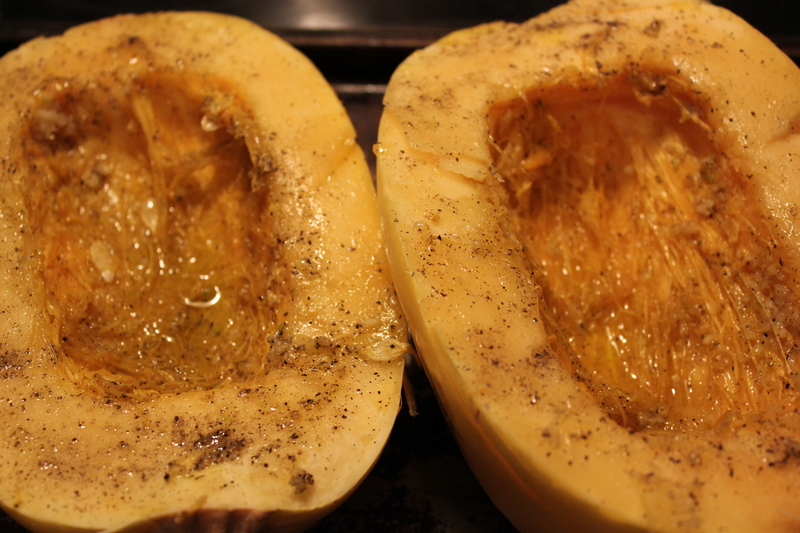 Mix the squash well in a large bowl, ensuring the garlic and pepper is spread around evenly. 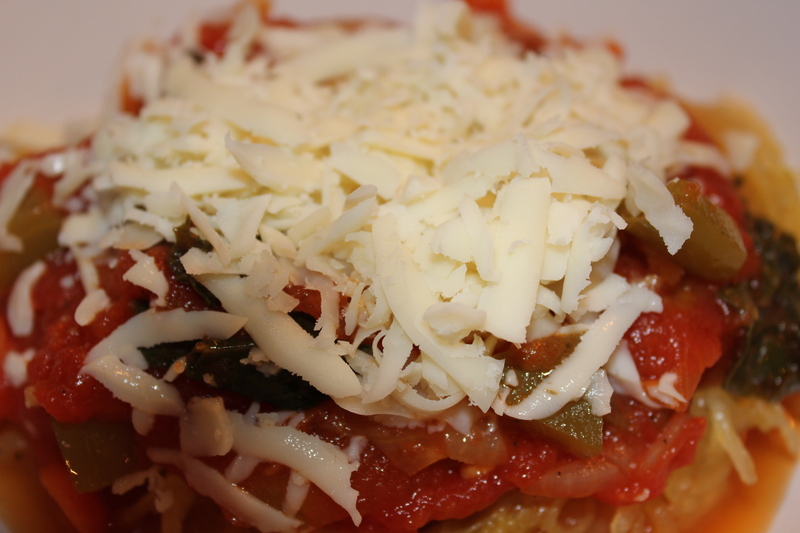 Serve the spaghetti squash with the kale & veggie sauce, garnished with mozzarella cheese. Or you can enjoy it on its own! I always have an issue with skipping breakfast because I’m usually not hungry. I’m really not a fan of this at all because breakfast is quite crucial to kick-start your brain, especially on those really early mornings. Which is why I’ve began to love smoothies. Even if I’m not hungry, they’re great to sip on throughout the morning and it always ends up finished before you know it. 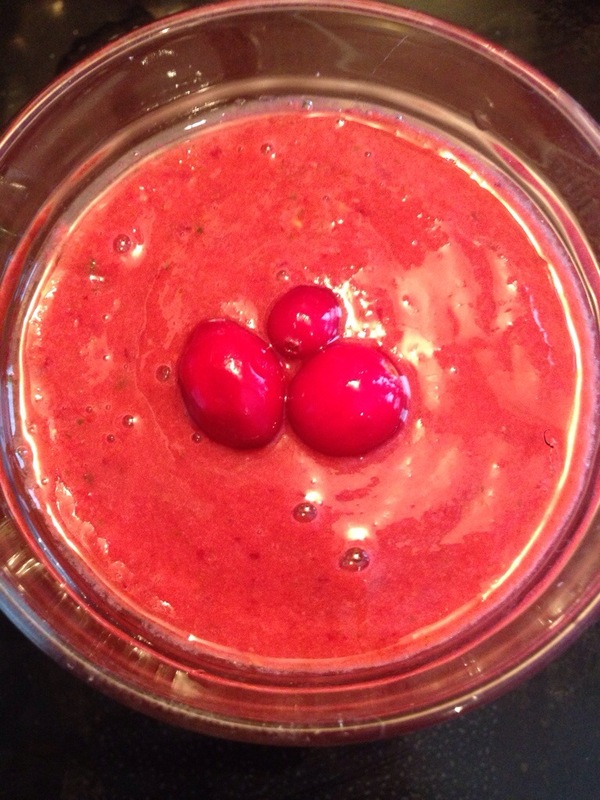 So, I’m gonna show you guys how to make my favourite berry veg smoothie. 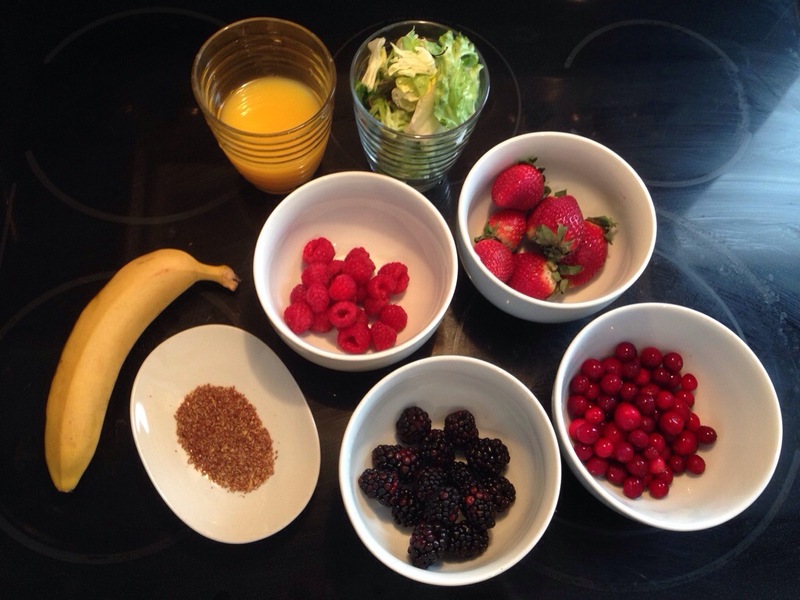 Wash and chop all of your fruits and lettuce. 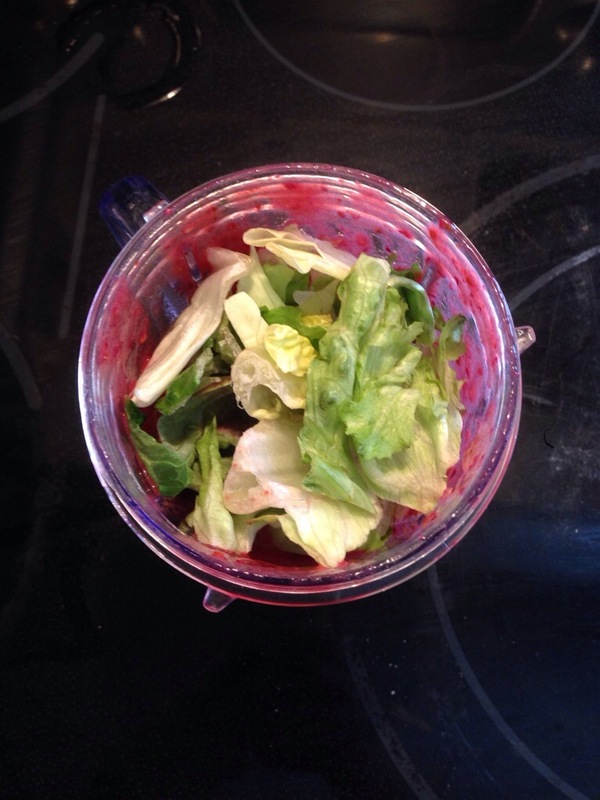 Put all of the contents into the blender EXCEPT for the lettuce. Once thoroughly blended, add your lettuce. Pour into a glass, add a little garnish – and it’s ready to drink! 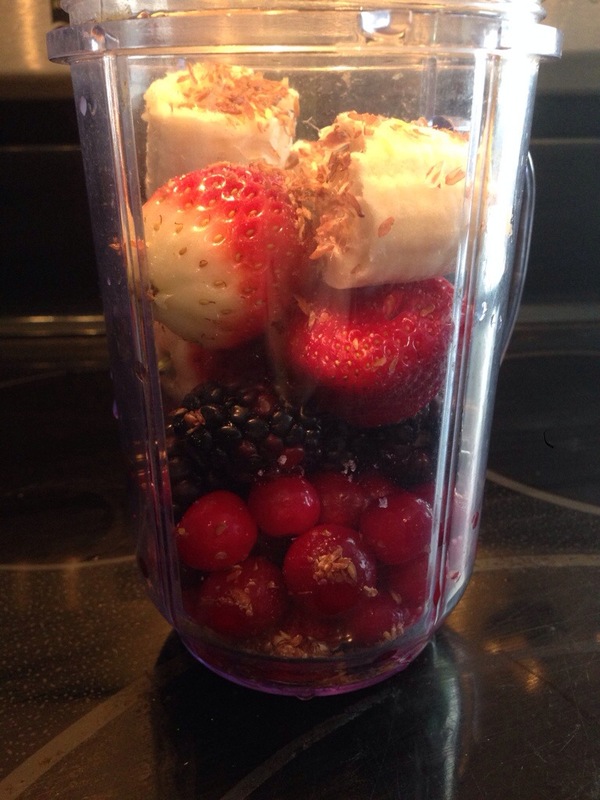 What are some of your favourite fruits or veg to use for smoothies? I opted for more sophisticated, delicious and (best of all) gluten free dish! I love your blog! can you follow mine? It is a celebrity/ pop news page!